Eagles Soccer Invitational. 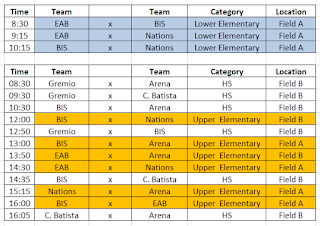 Schedule for Saturday. This will be a FUN Saturday!!! Lower Elementary Team (Davi, Lance, Augustino, Francis, Martin, Isaac, Yu, Clayton, Denzel, Ignacio, Mulalo, Pedro, Phillip, Ricardo, Tumelo, Edith, Wyatt, Lucas). Upper Elementary Team (Davi, Carlos, Noah, Isaac, Negash, João Marcos, Kayleigh, Nicky, Vanessa, Michelle, Ogak, Noan, Elijah, Caleb, Saturnino, Al-Mamoon, Williams, Mutaba, André). JH/HSTeam (all boys in 7th to 12th). Times : - See detailed schedule on the back page. Lower Elementary, 8:00am to 11:30pm. Arrive at BIS 20 minutes before your game starts! Parents, if you have one of our soccer jerseys at home, please bring those to Coach Batista. 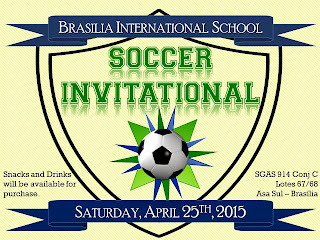 Eagles Soccer Invitational - Saturday, April 25th. 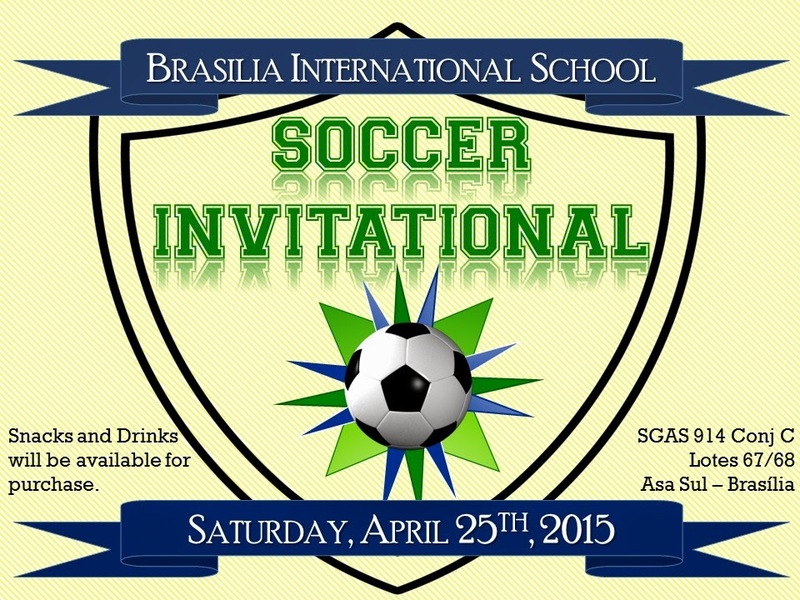 Soccer games on Satruday, April 11th. BIS vs Clube das Nações. We will have several soccer games on Saturday. See details below for the time of your game. Who: Elementary and Secondary soccer players. 10:00 to 11:00, students 11 and 12 years old on court #1. 10:00 to 11:00, students 13 and 14 years old on court #2. 11:00 to 12:00, High School students on court #2. 12:20pm, all students go home. 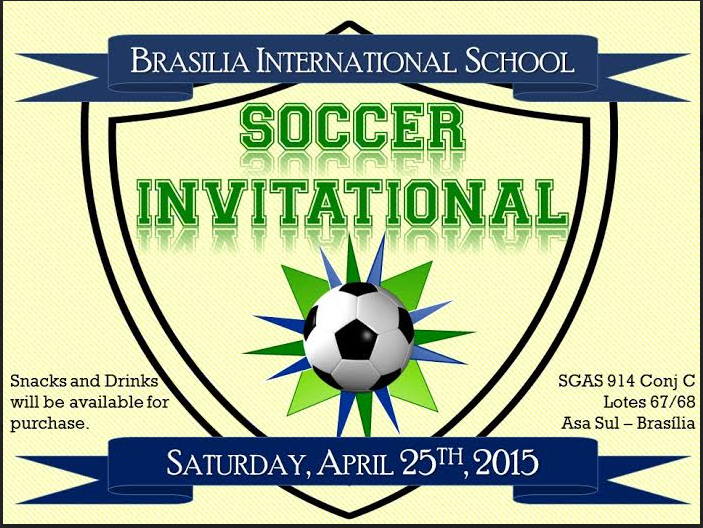 Soccer Game --- Saturday, April 18th. We will have several soccer games on Saturday. See details below for the time of your game. This event is for the junior high and high school (grades 7-12). 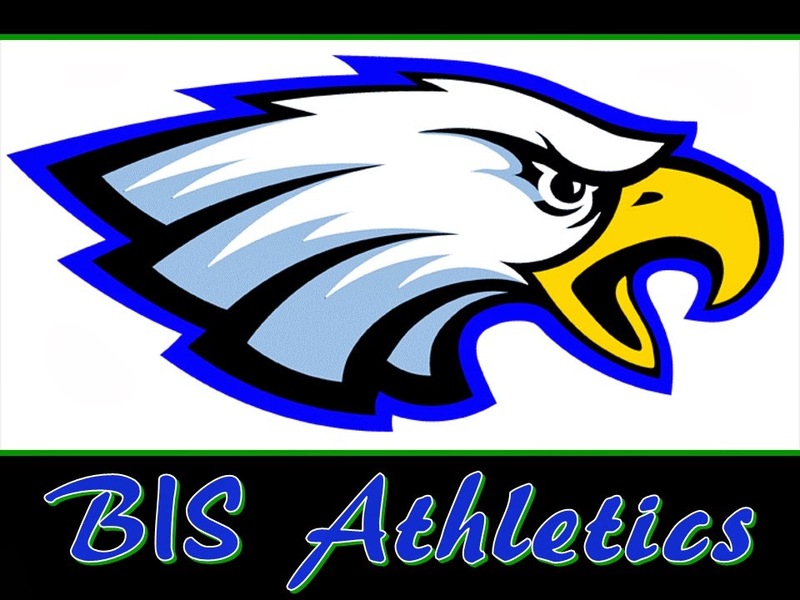 However, elementary students are still encouraged to attend and cheer for The Eagles if they are supervised by their parents. Our PAO (Parents Assisting Others) will be selling baked goods and/or other items! Who: All Parents/Teachers and Secondary (JH & HS) soccer players. Re: Soccer. BIS vs Clube das Nações. Satruday, April 11th. Important note. 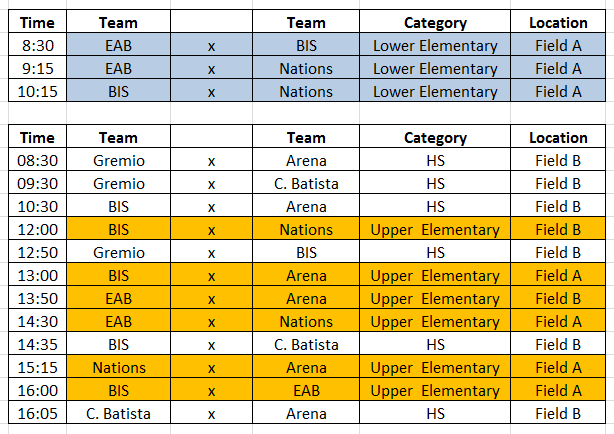 These will be futsal games (Saturday 04/11/15). Please wear the appropriate shoes. No cleats. Soccer. BIS vs Clube das Nações. Satruday, April 11th.